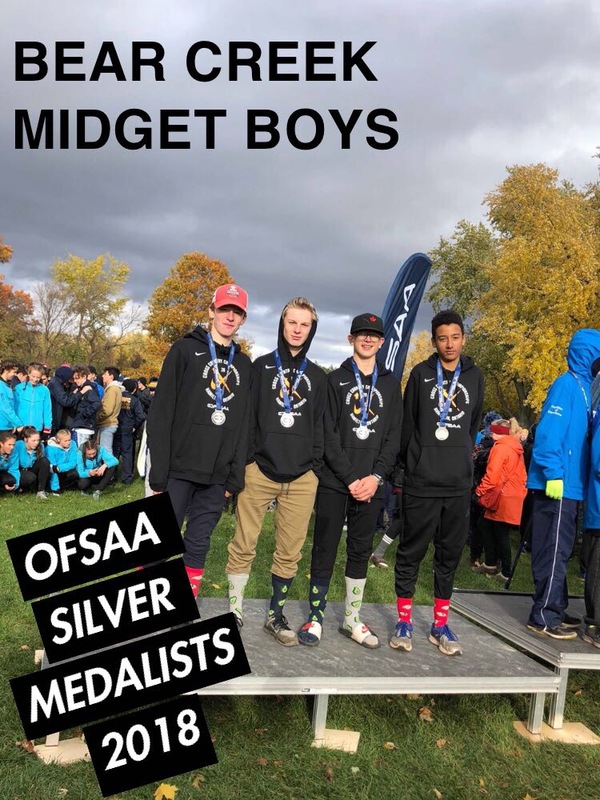 The Bear Creek Midget boys cross country team are 2018 OFSSA silver medalists. Pictured above from left to right are team members Jackson Cole, Caleb Wallis, Austin Morby and Justin Tate. The OFSAA cross country championship took place Nov. 8th at the Christie Lake Conservation Area in Dundas.